The waffles are crispy on the outside and a bit fluffy inside. Also it is naturally sweet, so easy on the maple syrup. 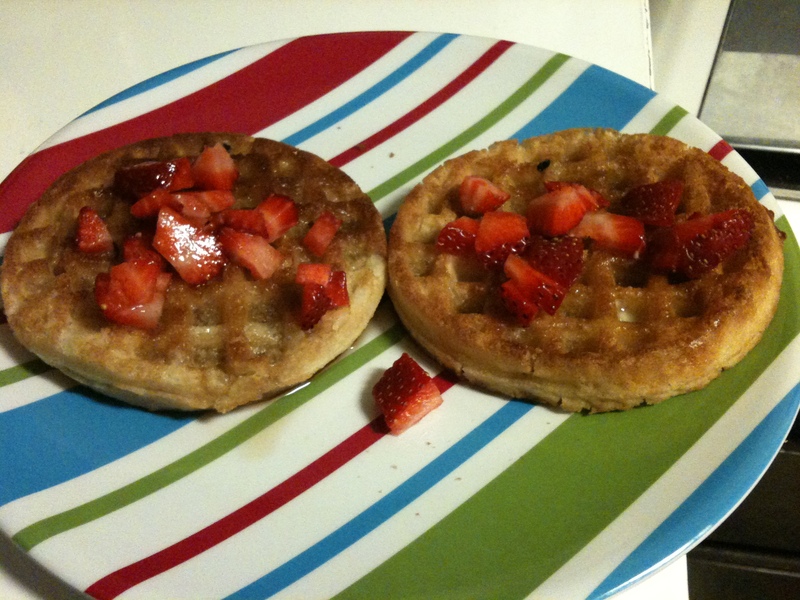 The fresh strawberries on top has enough tart to cut down the sweetness of the waffles. As far as frozen waffles go, this is really good; it really does taste like a waffle. One of my complaints is that the waffle is quite thin that if you over toast it, it becomes extra crispy and you loose the fluffiness in the middle.